Our expert service is based on our core values: Professional • Integrity • Commitment. 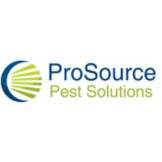 Our team handles a wide variety of pests native to Connecticut, exterminating them with solutions tailored to your particular needs. Interested in our environmentally friendly products and services? Contact us today to learn more! Serving residential and commercial customers in Greater Waterbury, Litchfield, New Haven, and Hartford counties, our team of professionals will deal with any size or kind of infestation. Once the pests are gone, we’ll take steps to ensure that they don’t return. The longer you wait to call a pest control service, the better the odds are of experiencing health problems or damage to your home. To regain peace of mind, let our highly trained team of professionals help! We make it a point to arrive on time, come prepared, and do what we need to do in order to stop the infestation in its tracks and make sure it doesn’t happen again. We’ll do that at rates that are fair and reasonable. Contact us today.